Volkswagen is preparing for the UK launch of the new Golf GTI on May 22 with the GTI Project, an online slot car game designed to showcase the vehicle’s handling capacity. Log onto the GTI Project website. The GTI Project provides virtual access to the working lab of a team of engineers who since 1974 have been remodelling the Golf GTI as a performance racer. The interactive site is based on an actual Scalextric track built inside a hangar by a team of 60 modellers. The set, occupying a space of 25 ft by 30ft, includes 200 scale buildings. Those who gain entry to the high security GTI Project get the opportunity to control the 1:43 scale Golf GTI as it negotiates the hairpins, straights and narrow bridges that make up the track. As accidents occur you’ll find yourself being picked up by engineers and placed back on the track. 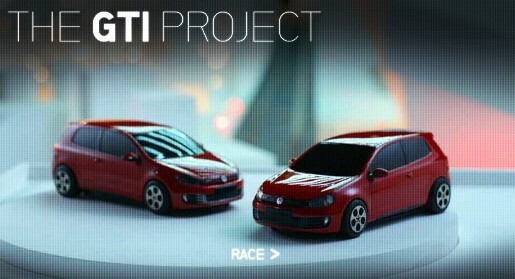 Log onto the GTI Project website and you’ll be guided to the virtual workshops of the GTI Project and the track itself. 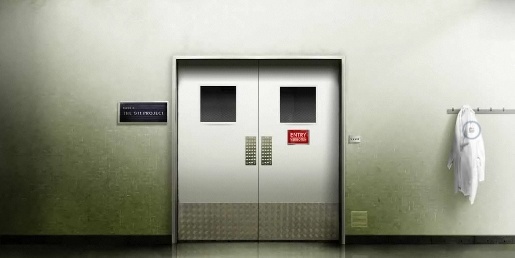 You’ll be given a couple of intelligence tests to ensure that not just anyone can wander through the clinic doors. In fact, you’ll need to assume the identity of GTI engineer Karl Luhr. Along the way you can learn more about the new Golf GTI, from its new 2.0-litre TSI engine to the advanced six-speed DSG gearbox, colours, trims and performance information. In addition you can order a brochure or even book a test drive. Set a particularly quick time and you’ll be entered into the prize draw to stand the chance of winning the opportunity to drive a new Golf GTI for three months. At this point the fastest lap times are close to 14 seconds. For those who are not satisfied with ownership of a car for three months, Volkswagen is now taking orders for the full-scale Golf GTI. Prices for the three-door model in the UK start at £22,410 and rise to £22,995 for the five-door model. More information on the new Golf GTI can be found at www.volkswagen.co.uk or at any Volkswagen Retailer. The GTI Project was developed at Tribal DDB London.